Splendid, large and bright duplex apartment with garage and storage room, steps from amenities and ski lifts at La Villa village in Alta Badia, Dolomites.Rarely available, very conveniently located property across 2 levels in a residential area of one of the most renown skiing areas of the Dolomites in Italy.Occupying the two top floors of a building, this luxury duplex provides far reaching panoramic views.This south facing property is part of a 2 unit alpine home equipped with a lift and will benefit from 2 parking spaces in a garage, private ski room and wash room.The internal area of the property is 120 sqm with a benefit of front and back full length balconies. The layout of the duplex is the following: the lift takes us to the entrance of the apartment where from a small hallway one can enter to the kitchen, there is a separate spacious living room, dining room, bedroom and 2 bathrooms. The living room and the bedroom benefit from access to a large balcony. The top floor accessible by internal stairs offers two double bedrooms a further small room suitable for home office or walk in wardrobe and plenty of storage area. All bedrooms have direct access to a large balcony.The building has Class A energy certification and built from the highest quality materials using the best in class insulation, double glazing, wooden floors, tiles and under floor heating.The property has easy access on foot to a variety of ski lifts suitable to different levels of skiers.La Villa village is in the heart of the picturesque Alta Badia area in South Tyrol, Nord Italy surrounded by the Dolomites mountains. 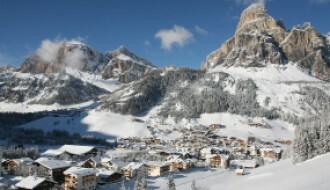 The village is popular in winter for offering a variety of slopes for different levels of skiers. 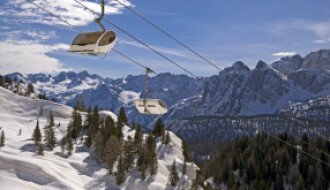 Each year in December the famous Gran Risa slope in the village hosts the World Cup Super G skiing event attracting many international sports personalities, media teams, spectators and event sponsors. 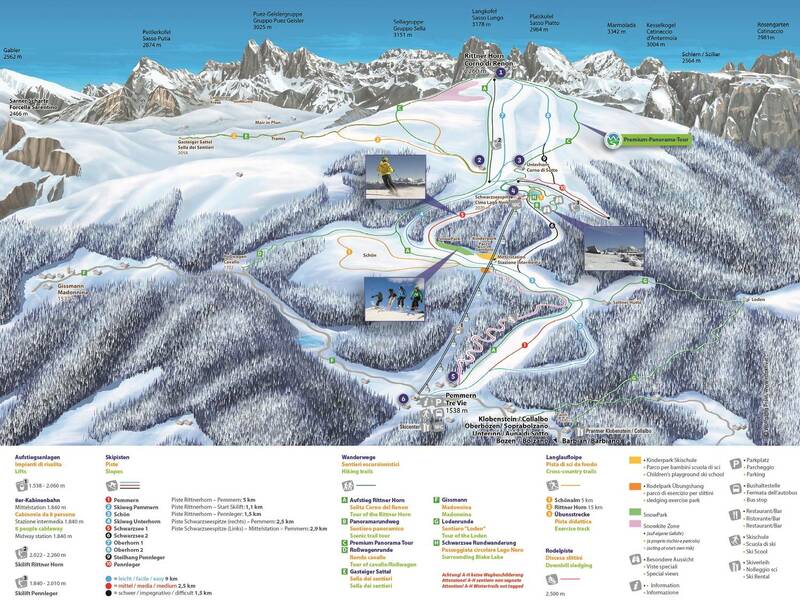 In summer months Alta Badia is a host of various cycling, athletic, motoring and cultural events and there are different children activity parks in the area to keep the little ones occupied and appointed with the surrounding nature, animals and the home made products of the area. La Villa offers a unique way to enjoy this untouched, UNESCO heritage part of Italy weather it is in summer or winter.La Villa village boast of an array of amenities, restaurants, bars, boutiques, shops offering local craftsmen prepared items, supermarket, post office, bakeries, banks, tourist office and various sport facilities. 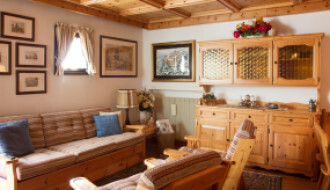 If you would like to find out more about this apartment or interested about other properties in the Dolomites, you can contact our team on ec@ecsmproperty.uk.com with extensive knowledge of the area and will be glad to assist finding you a suitable alpine home.